The winter is almost on our doorstep, so you may need some inspiration of how to dress in a stylish and trendy way during the cold days. So, today we have chosen 18 Stylish Street Style Looks that you may draw inspiration from for your next outfit combinations. The temperatures during winter time are getting low, so you will for sure need many fashion staples to keep yourself warm. It is essential to invest in a good quality coat, that will not only keep you warm but will also make you look stylish. You can never be wrong with a black coat, because black is a timeless classic, but also feel free to get a coat in some other shade. If you wish to stand out from the crowd, then get some plaid coat or a fur coat. When it comes to the footwear, you have a choice to make between versatile types of boots, from ankle to over-the-knee boots, flat or heeled ones. The winter time is also known as sweater weather, so sweaters should be part of your winter wardrobe for sure. And since they can be found in so many versatile styles and colors, you will never get enough of them. The low temperatures shouldn’t be an obstacle for you to wear skirts and dresses during winter time. There are many sweater dresses that you can choose from, and also you can make different outfit combos with skirts and sweaters or blouses. Wear thick tights, whether black or in some other bold color, to keep yourself warm. And of course, you will need to spice up your winter looks with some accessories. 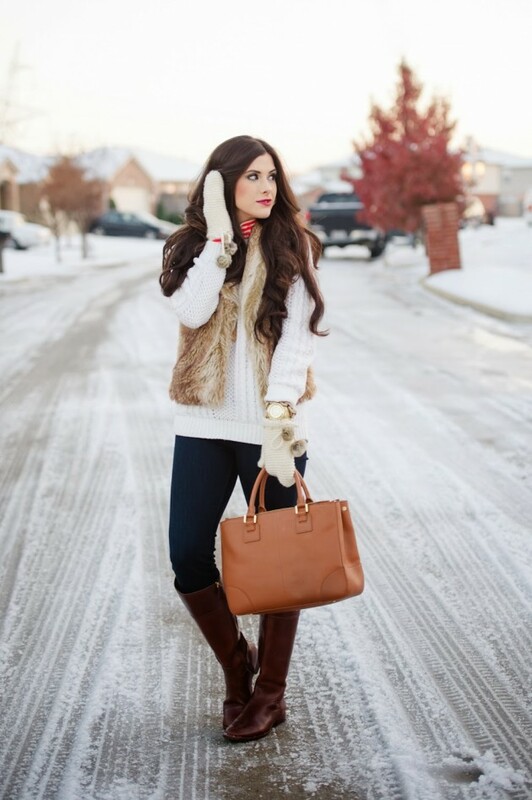 Beanies, scarves and gloves are the must-have accessories for the cold winter days. The infinity as well as oversized scarves are the ones that can make a statement, and beanies can be found in all styles and colors possible. And when it comes to gloves, the leather ones will give you an elegant look for sure. Choose some black ones or opt for some more vibrant color and thus make them pop out from the rest of your outfit combo. 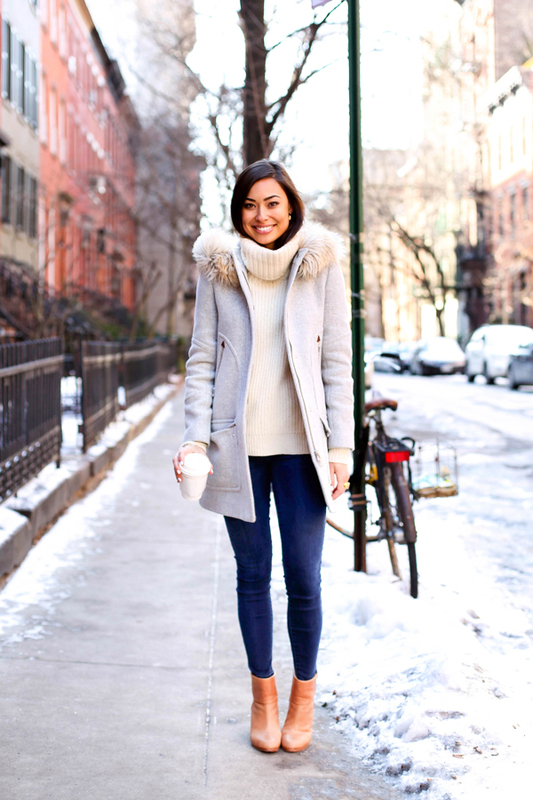 These were the 18 Winter Street Style Looks that we have chosen for you today and we hope that you will like them. Tell us in the comments which one from the above outfit combinations you would love to copy this winter. Thank you for reading and don’t forget to stay up to date with our content to find many other stylish street style looks for your inspiration.